It has been 3 years since a Rheumatoid Arthritis (RA) diagnosis and I’m now experiencing my life in a way that is more wonderful that I ever thought possible – so much awesomeness physically, mentally and emotionally – since this diagnosis. If cure is never the word to use for an autoimmune condition, then I’ll say it’s the essence of true healing. Everyone has the innate ability to push beyond his/her limiting beliefs and challenge the ways to health once again. I have the confidence with my knowledge, personal experience, education and immersion with holistic and alternative treatment and health care to guide and support you through your goal of making through this life-changing diagnosis. To achieve amazing result, we will explore holistic realm of health and healing that interconnects mind, body and spirit. If you are under chronic stress, depressed and unhappy all the time, it is rather hard for you to heal despite doing all the right things or treatments that work. You must believe that you want and are able to get well and recover/heal from RA. You are chronically ill, tired and sick of living a painful RA life and not sure about holistic and complimentary and alternative (CAM) treatment options. You have an open mind and readily and willingly accept holistic and CAM modalities. You have troubles finding a treatment program that works for you and/or do not have any ideas how to help yourself. A 3-months engagement is usually recommended and encouraged for anyone who likes to work with a health coach. 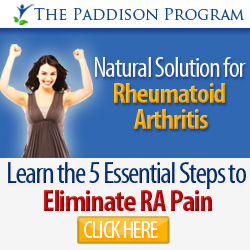 To be truthful, 3-months is not enough to eradicate your RA problem, but it is adequate to let you reclaim your life and pave the right track for you to recover. Reversing RA is an endeavour that takes time to effectuate. Your effort to get well must NOT stop at the conclusion of the coaching program. You must also recognise the fact that each individual is different in terms of their health conditions. While the premise of the program works on a sound theory, the degree of results experienced may vary depending on your health circumstances, your age, severity and duration of your RA, the level of commitment, and so forth. On the contrary, what I can be certain of is that, if you do not try anything out at all, you will not reap anything out of nothingness. After all, we are the ones who are ultimately responsible for our own health and how we are going to live our lives in the future. The fee for private coaching is US$300/month. Coaching is done over phone/Skype. Payment in full required at time of scheduling to secure appointments. Lesser hour coaching sessions cannot be applied to purchase of expanding hour coaching sessions. No refunds will be issued for unused or missing coaching sessions. Cancellations must be made within 24 hours to avoid U$50 cancellation fee. I understand the financial aspect of having RA and how tough it can be to invest in yourself, especially when you are unable to work. But investing in yourself will help you become employable again or maintain the job you have. You do deserve to feel better and you must know and believe that is possible. I wish that I would not have to charge for my services but the fees will allow me to invest in my learning resources and materials, and hopefully, devising better strategies and treatment plans that work more effectively, efficiently and better in all aspects. I’m putting out these efforts for you so you’ll also be required to put out that effort towards yourself. And, you’ll work harder for something that you pay for vs if you get it for free. Time is a consistent constraint for me, and there is always a limited number of participants I can cater at a time. At this moment, my health coaching program is not available/open to new participants. If you wish to be notified when I re-open up MyRADiary’s ‘Getting Well’ health coaching program to help you get your life back, please fill in the form below to be on the waiting list. Hi, I was diagnosed with RA 41/2 years ago at age 37. I believe it was triggered by stress. I am a full time working mom of two. I have sought out and tried many alternative protocols since my diagnosis, may of which you describe in your story. I’m dead set against the conventional approach even though I’m an RN by profession. I really think I would benefit from a health coach as I’m determined not to let this disease take me down. I would really appreciate some help as I fight the fear every day that this disease will win. I look forward to talking with you hopefully soon! I am mainly looking for hep with health habits of movement and meditation. I follow a good autoimmune protocol diet about 80% of the time., have a great acupuncturist and lots of support. I need encouragement for establishing daily goals and sticking to them.